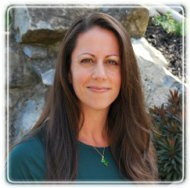 Hauppauge Therapist: Lynn Moses - Therapist 11788. Send A Message To Lynn. I hold a Masters in Social Work from Boston College and an undergraduate degree from Hofstra University. For twelve years I provided individual, couple, family and group treatments for the New York City Fire Departmentʼs Employee Assistance Program, the Counseling Service Unit. As one of the Counseling Unitʼs senior therapists, I worked directly with FDNY employees and their families coping with the tragic events of September 11, 2001 and itʼs aftermath. My experience has led me to develop an expertise in the treatment of trauma, including, but not limited to, grief, anxiety, stress and depression. My commitment to the Counseling Unit went beyond my clients, as I provided advisory and managerial support for fellow counselors, colleagues and ancillary staff. Through this work I have led educational presentations on the effects of trauma on mental health and functioning, organized trainings, and supervised not only staff but students as well. My experience treating trauma and grief have not only been related to 9/11, but other forms of trauma such as sexual/physical assault or abuse, tragic accidents and childhood trauma. Not only does my background make me an excellent choice for someone who works in Emergency Services or in the military, but I have a special rapport with clients that help people feel safe in order to work towards reaching their therapeutic goals. I believe in empowering my client’s to gain the tools and skills they need to live a happier and healthier life. My various approaches open the doors to the healing process, as I create a custom treatment plan for each client, in a safe and secure environment. As each individual, couple or family is unique, so should their treatment plan be. My eclectic approach blends the unique needs of each client. Needs shift and change during the therapeutic process, and with that so should the treatment approach be open to change. If the client is interested, I can provide guidance on other wellness modalities connecting clients to practitioners who’s practice will compliment the therapeutic work. Medication is always a sensitive topic for people. Those who are in need and open to medication will be guided and connected to the top professionals on Long Island for the best possible care and outcome. Those who prefer to take a more natural approach will be provided top options and support that fit their ideology. There are many alternative treatments that compliment traditional therapy. Incorporating these can enhance treatment outcome. There is more and more research showing promise and effectiveness in alternative treatments. Yoga, acupuncture, EMDR and Neurofeedback are just a few of the alternatives to traditional therapy showing promising results in either complimenting or treating various mental health issues. The special rapport I have with each of my clients, combined with my experience and caring nature have made my practice not only successful, but productive for those I works with.